Here is the picnic table without any artwork!! Here is the top of the table with the kids hand prints to make a rainbow & clouds, under the rainbow we will be writing their graduation class year!! This is what the benches look like. 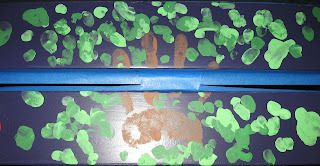 We took one hand print of each teacher and used that as the tree trunk then the kids painted leaves on the 'tree'. 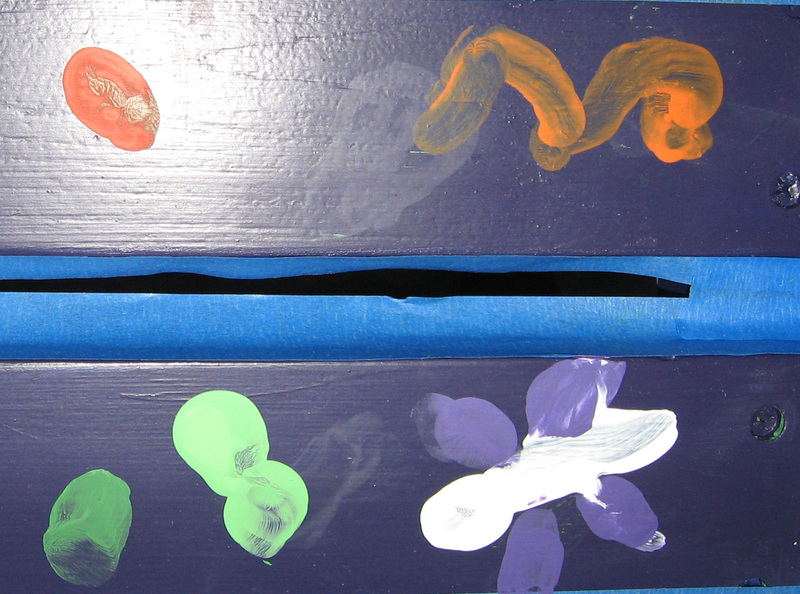 This is one end of the bench which has an orange worm; red body of a lady bug; purple and white butterfly and a green spider. The finishing touches (legs and eyes) will be placed on the table later this week. 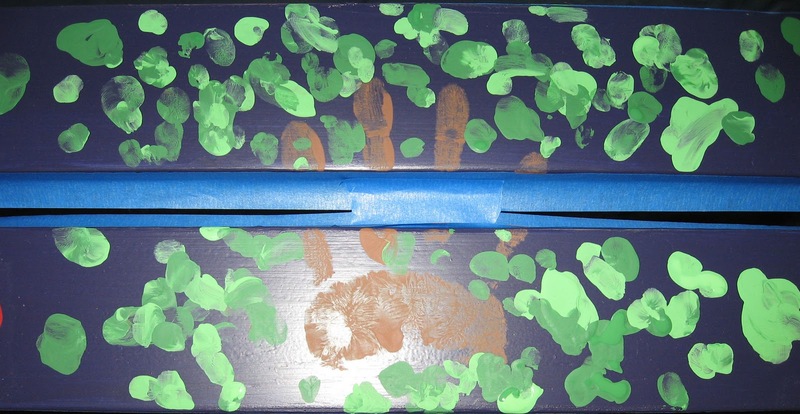 We will also be writing the kids names around each bench and adding the teacher's names under the trees. I will show you a picture once it is complete. We have had fun letting the kids paint this great project and I look forward to hearing your comments. (without abandoning them as a subject of mocking)college paper writing service resolve in online classes to finish their secondary school training or even school.